Okanogan County is a name derives from a Salish Indian word meaning "rendezvous." 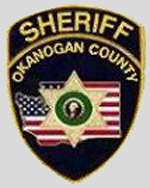 The name Okanogan (Okanagan) also refers to the region that also encompasses part of southern British Columbia. In area, it is the largest county in the state. 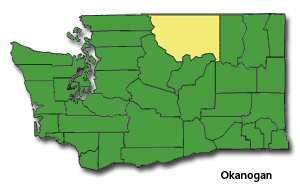 As of 2017, the estimated population was 41,742 The county seat is at Okanogan, and its largest city is Omak. The first county seat was in Ruby, which has now been a ghost town for more than 100 years. According to the U.S. Census Bureau, the county has a total area of 5,315 square miles, of which, 5,268 square miles of it is land and 47 square miles of it (0.89%) is water. The population density is 8 per square mile.